Our rooms are ideally located, being at the heart of the pine woods: only 200m from the Bassin of Arcachon, about 600m from the ocean itself and just 10 minutes by bike from the centre of Cap Ferret, along the cycle track. This well respected sea-side village on the Côte d’Argent (The silver coast) is much appreciated by those who seek peace and want to admire the natural beauty of the ocean and the Bassin of Arcachon. Do you need some assistance? We can help you organise your hobbies and outings. Do feel free to let us know what you would like, so that we can help to organise your stay. 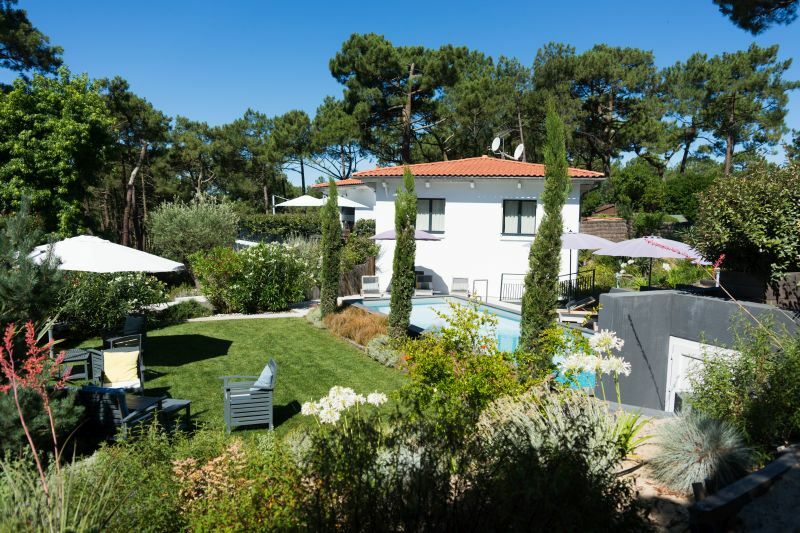 Located close to the village of Cap Ferret, only 200m from the Bassin of Arcachon and about 600m from the Atlantic Ocean, our villa offers a well preserved, natural environment. Well away from the noise, you will really appreciate the charm of this place with its varying terraces, the swimming pool and private, landscaped garden. We offer you a place to be regenerated, to enjoy some sport, to bask under the sun, or otherwise relax and forget the time. We have done everything to offer you a guest villa that is welcoming and comfortable, combining a sense of simplicity with quiet luxury in a natural environment. We have sought to provide all you will need to have a genuine holiday that is wholly devoted to refreshment and replenishment through out-door activities you can enjoy. An inviting garden combining landscaping and trees. Bicycle hire, together with parasols and beach mats! You want to make a special gift, have a particular need or diet? We are here to listen and respond. 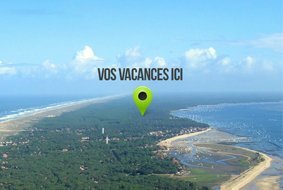 Here are some of the activities that are only a few minutes away on foot or by bike from our rooms, because we are at the heart of the pine woods, between the Bassin and the ocean and only 10 minutes by bike from Cap Ferret itself.